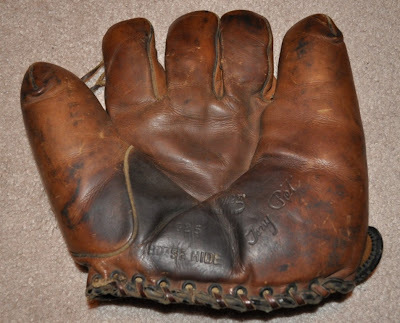 YEARS AGO, I WAS ABLE TO ACTUALLY HOLD IN MY BARE HANDS an actual baseball glove from the immortal Babe Ruth. 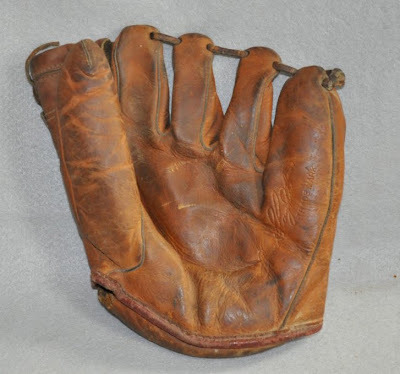 I know it was his glove because it was in the archive of one of the most prestigious collections of Babe Ruth and other baseball memorabilia in the world. Exactly where, I should not say. All I can say is that the moment was one that I will remember the rest of my life. 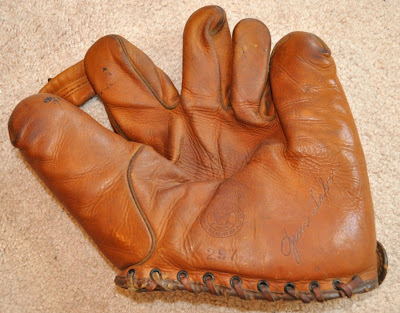 As I ever so carefully slid my hand into the same finger slots as The Babe had done some 75 years earlier, the first thing I did was bring the leather mitt to my nose. 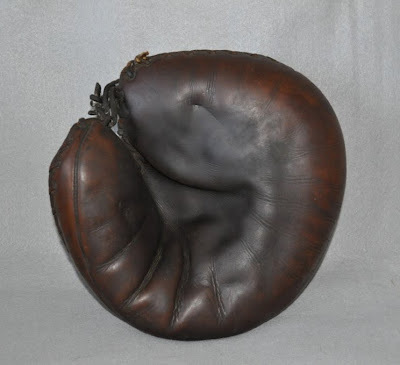 I wanted to smell the leather. It was aged—but still slightly sweet, and I could sense the smell of infield dust, sweat and authenticity. 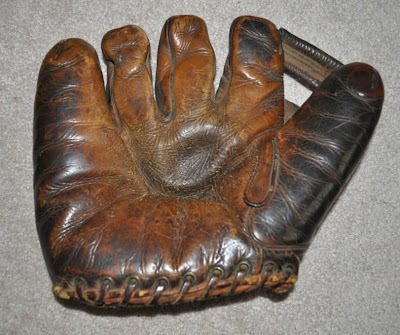 I do not think you need to love baseball to love the beauty of these authentic, game-used baseball gloves. They are so human-like, like hands painted by Fernando Botero. 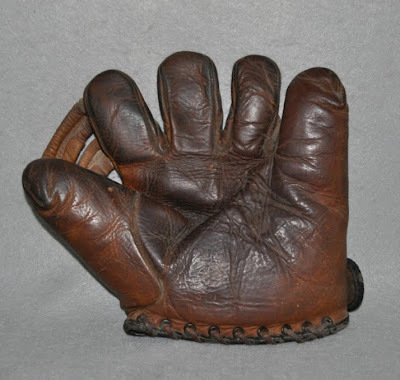 These gloves, some of them quite expensive, were found in one shop on eBay. 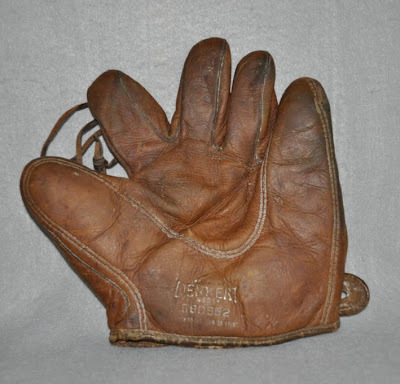 There, they sell bats, gloves and other rare examples of the baseball world. 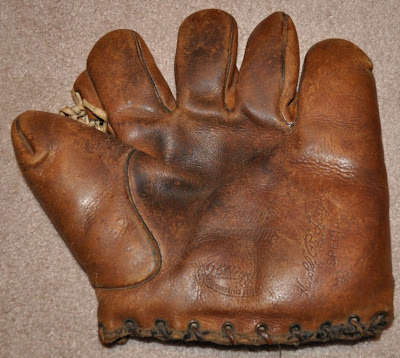 These gloves are real extensions of someone’s hand, used to dig burning grounders out of the grass or poised to “pop” at an outfield fly. Sweet. 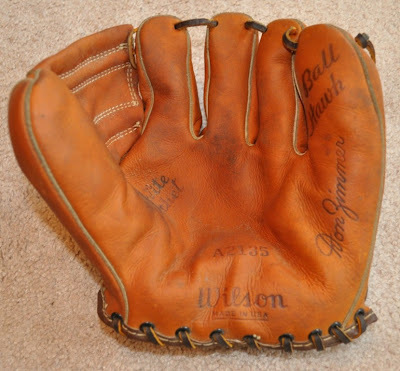 Yes, I can smell the old leather, too. What a great find! I love the smell of leather in the morning.